For as long as I can remember I’ve been a fan of Pokemon. I loved pretty much all of the games, the anime series the various toys I owned throughout the years. And last weekend at PAX I got to go hand’s on with the upcoming Pokemon Let’s Go Pikachu. I was already on board because I’ve wanted a Pokemon game I could play on my TV for years but after playing it my excitement is now through the roof. 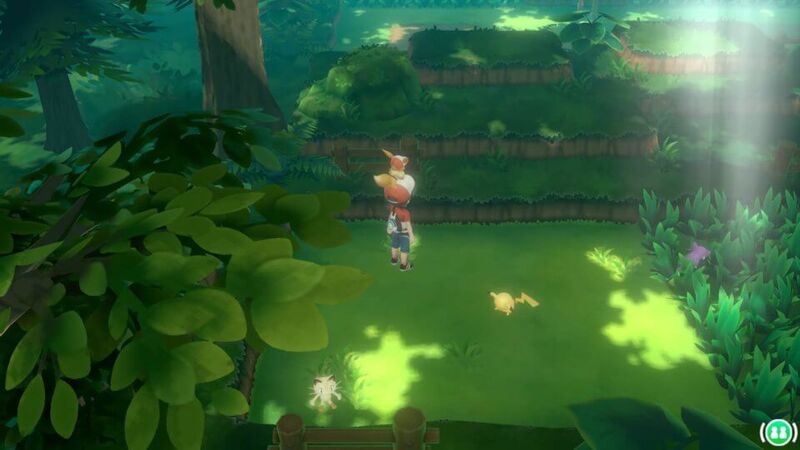 Not only do I get to re-experience one of my favourite Pokemon games, It looks fantastic running on the Switch and has been reworked to offer a brand new Pokemon experience. Pokemon Let’s Go, Pikachu! and Let’s Go, Eevee! are enhanced remakes of the original Pokemon Yellow game from 1998. This time around they’ve been re-imagined with 3D visuals and a brand new capture system. 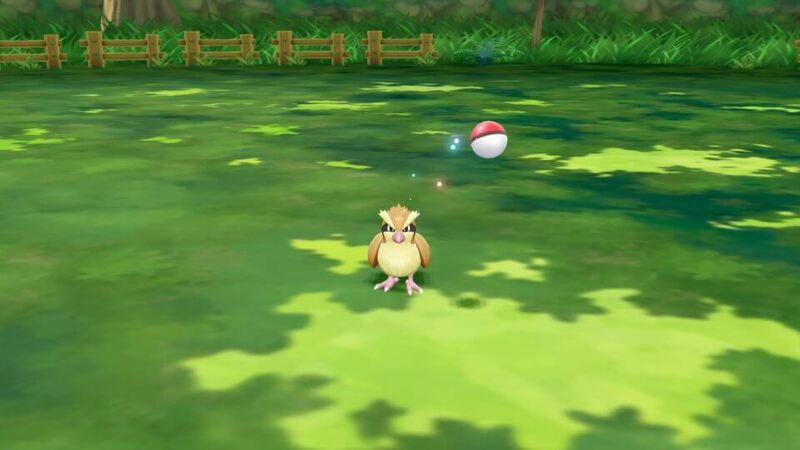 Unlike in previous games, capturing Pokemon in Let’s Go isn’t done by battling your Pokemon against the wild one, withering down it’s HP and then throwing out PokeBalls. Here it’s adopted the capture system from the highly popular Pokemon GO mobile game and uses the same timing a skill based throwing game to successfully capture new Pokemon. The demo I played allowed for 10 minutes of free roaming around Viridian Forest. I had seen gameplay footage of the game before but seeing it running before my eyes truly highlighted how great this game looks. It’s art style is bright and vibrant, Pokemon has never looked this good before. The increased hardware capabilities of the Nintendo Switch have allowed for beautiful looking 3D models, not only of the player characters but of all the Pokemon as well. Walking through the forest you’ll notice that the game has an updated lighting system that allows sunlight to leak through the tops of the tree’s. It’s these finer details that make the environments look better than ever and had me smiling for the whole demo. 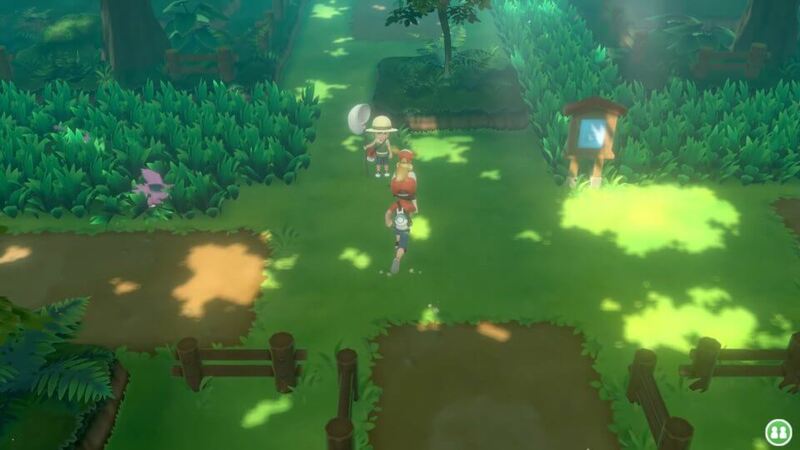 The next biggest change you’ll notice when playing Let’s Go is that wild Pokemon encounters are no longer randomised and initiated by walking through the grass. You’re able to see the wild Pokemon roaming around on the map with you. To enter into a battle you simply have to collide with one. I noticed some of the Pokemon had a glowing red or blue aura around them as they walked around. 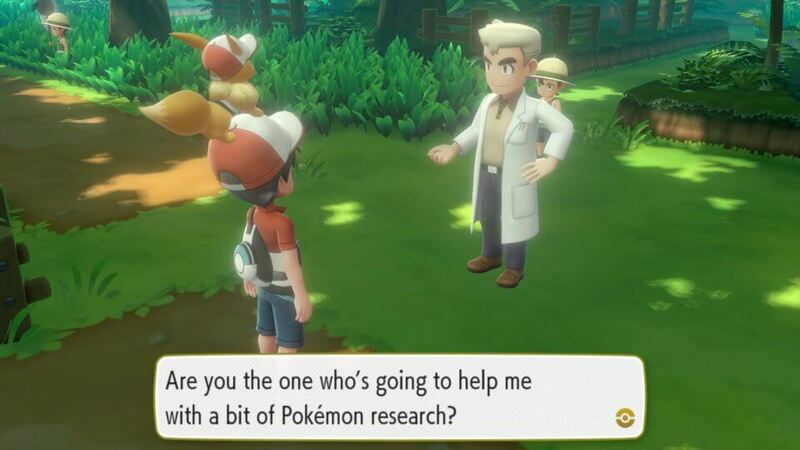 The Nintendo rep running the demo pointed out that those Pokemon are of a smaller or larger variety depending on the colour of the aura and can possess different stats compared to a ‘regular’ one you may find. While wild Pokemon encounters use the Pokemon Go style encounter system, trainer battles use the traditional battle approach and allow you to send out one (or two if playing in Co-Op) of your Pokemon and fight in the same way we’ve been doing since Pokemon Red and Blue released. Due to the way the capturing system works I saw that upon winning battles and capturing Pokemon you’re often rewarded with PokeBalls. Physically throwing the PokeBall to capture the wild Pokemon does take some getting used to and is more of a challenge than in the traditional games so it’s good to see PokeBalls are obtained quite frequently. Another great feature of Let’s Go is that it is completely playable using just one hand. You can use a single Joy-Con to play or as I did in the demo use a PokeBall Plus controller. This controller is simple by design, feels great in the hand and mimics the look of a PokeBall allowing you to do all of the functions needed to play the game. The second Joy-Con can be passed to another player who is able to join the game at any time and play through the game co-op style. While it’s not the core Pokemon game everyone wanted, Let’s Go! has something to offer all types of Pokemon fans, whether that be someone that wants to replay through the events of Pokemon Yellow or someone that only got into Pokemon via the Pokemon Go craze. I’m certainly looking forward to playing more Pokemon Let’s Go, Pikachu! and thankfully we don’t have to wait long as it hits the Nintendo Switch in just a couple of weeks on the 16th of November.